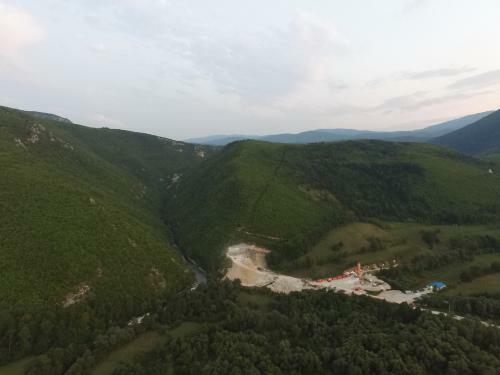 Vienna- A wave of hydropower development fuelled by European public funding and EU companies is endangering pristine river environments in the Balkans, finds a new study by CEE Bankwatch Network released today. The extensive analysis shows that multilateral development banks are playing a key role. The European Bank for Reconstruction and Development (EBRD), the European Investment Bank (EIB), and the World Bank's International Finance Corporation (IFC) have extended loans totalling EUR 818 million to no less than 75 hydropower projects, including 30 directly affecting protected areas like national parks, Natura 2000 sites, and Ramsar sites. "The EBRD Board of Directors will be meeting in London on December 16, and we expect them to discuss how to stop the bank from bending its own policies,” added Klara Sikorova, Bankwatch's Senior Researcher and study co-author.